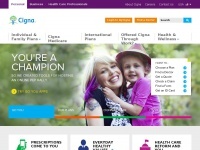 Cigna UK HealthCare Benefits provides quality, cost effective employee health insurance. Find out how you could offer employee healthcare to support wellbeing, aid retention and reduce absence. 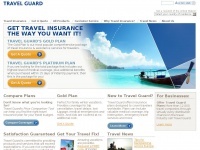 In total 18 links were found which refer to Cigna.co.uk. The most used keywords in text links are Cigna, United Kingdom and United. Individual words like Kingdom and Healthcare are frequently used in text links from other websites. 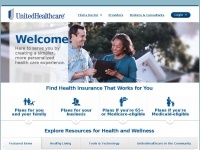 The most important link sources for this website are Cigna.com and Influentialsoftware.com. 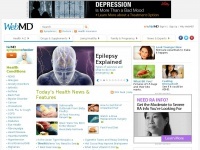 The homepage of Cigna.co.uk and the subsite /Index.aspx/index.html/index.html/index.html/index.html/index.html are most referenced by other websites. The table shows the most important links to Cigna.co.uk. The table is sorted in descending order by importance. The table shows websites of Cigna.co.uk, which are often linked by other websites and therefore they are classified as important content. three profiles were found for Cigna.co.uk in social networks. Among other social networks the website is represented in Twitter, LinkedIn and YouTube. The web server with the IP-address 170.48.68.18 used by Cigna.co.uk is owned by Healthsource and is located in Concord, USA. The website Cigna.co.uk has a own web server. The web server only runs this website. 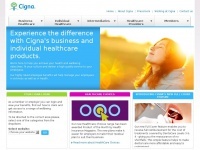 The websites of Cigna.co.uk are hosted by a F5 BIG-IP® server and were developed in the programming language ASP.NET. The HTML pages were created with the latest standard HTML 5. The website does not specify details about the inclusion of its content in search engines. For this reason the content will be included by search engines. 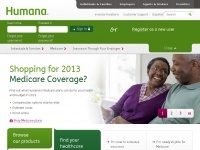 Humana.com - Health In­su­ran­ce, Medica­re In­su­ran­ce & Den­tal ..
Uhc.com - Health In­su­ran­ce Plans for In­divi­duals & Fami­lies, ..